Looking for a better WordPress website solution? ClickArtists provides complete WordPress design and development for artists and small businesses. Our unique WordPress system makes it easy for you to update your own website in a secure environment. We also offer a fast economical updating service for those that already wear too many hats. 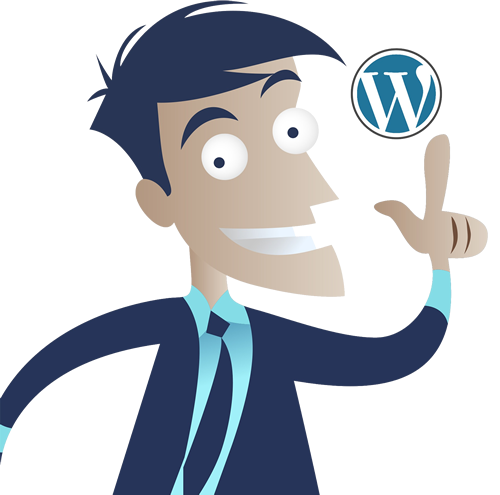 Do you want the flexibility of WordPress in a simple easy to use system? All websites can be updated by the site owner and/or associates. Our Easy WordPress system streamlines the updating process with drag and drop image galleries and easy to update pages. Prices begin at only $200 and many websites can be created for about $500. What makes our WordPress system different? We integrate your social media creating a webhub for all your online presence – one place to see and experience everything. We also provide help to site owners who want to update their own WordPress sites. We specialize in creating websites that are professionally designed and updatable by you. You decide how involved you want to be. Some of our customers actually have us do all the work, including updates and additions, because they don’t have the time and because we do inexpensive updates on a timely basis. Other customers take over the site completely after the design stage and only come to us for help when needed. We’ve been creating successful websites for over 18 years so we have the right solution for you or your business.